Curb side refuse pick-up service is provided to our community by Regens Disposal on a weekly basis. The collection day for the entire community is on Wednesday and bins must be to the curb by 8:00 a.m.
All refuse being deposited in the residential containers, including grass clippings, garden refuse and leaves, MUST BE BAGGED. Due to a fully automated system, bags left outside the containers will not be picked up. To access your personalized waste collection day information, enter your address and click search. Once your calendar appears, simply hover over each collection to view important set out instructions. Add a schedule to your personal calendar (iCal, Google Calendar or Microsoft Outlook). If your container has been removed due to lack of payment for the service and a request is made for the container following payment, there is a $25.00 fee. How do I get a garbage bin? Simply fill out this form and submit it to the Town Office along with payment for the container. Click here to download the Residential Garbage Pickup application form (PDF). What is accepted at the Waste Disposal Site? 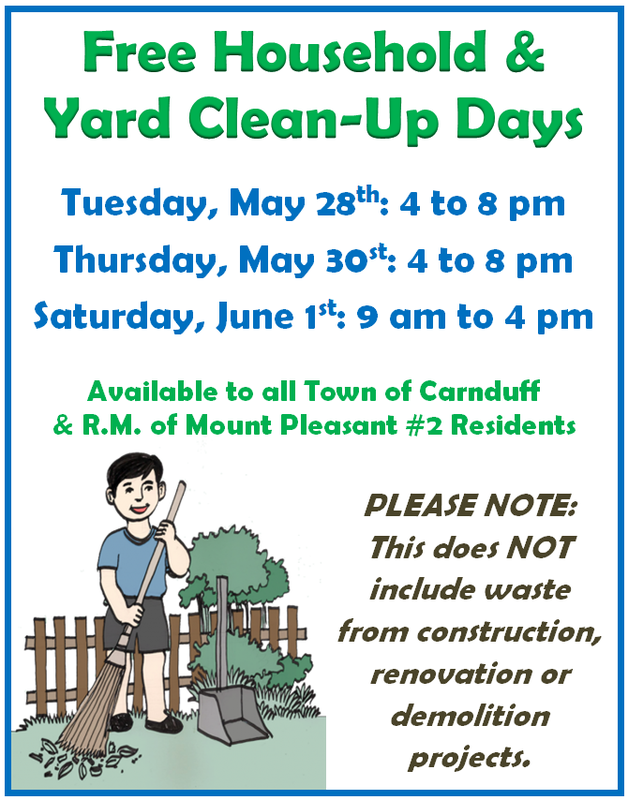 The Carnduff Waste Disposal will accept garbage, household refuse, building/demolition refuse, commercial/industrial refuse, bulk refuse, litter and major appliances. For a definition of what is included in each of these, please see the bylaw by clicking here. What is NOT accepted at the Waste Disposal Site?